The area near the surface of the earth can be divided up into four inter-connected geospheres, the lithosphere, hydrosphere, biosphere, and atmosphere. Scientists can classify life and material on or near the surface of the earth to be in any of these four spheres. 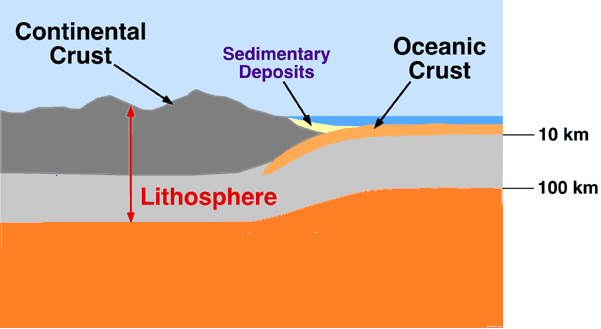 The lithosphere is the solid, rocky crust covering entire planet. The Earth's hard, outermost shell. It comprises the crust and the upper part of the mantle. It is divided into a mosaic of 16 major plates. This crust is inorganic and is composed of minerals. It covers the entire surface of the earth from the top of Mount Everest to the bottom of the Mariana Trench. 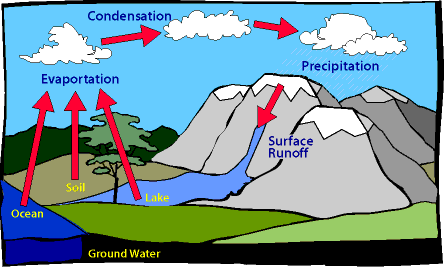 The hydrosphere is composed of all of the water on or near the earth. The biosphere is composed of all living organisms. 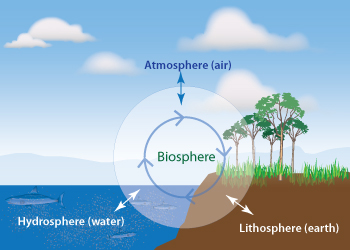 Biosphere is a total of plant life, animal life and all other factors that make up the earth. 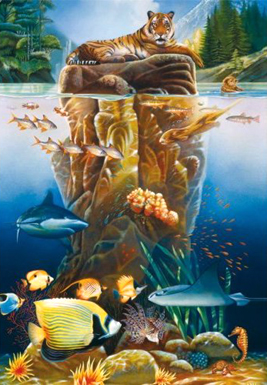 Plants, animals, and one-celled organisms are all part of the biosphere. Most of the planet's life is found from three meters below the ground to thirty meters above it and in the top 200 meters of the oceans and seas. Biosphere is the sum total of the ecosystems present in the world. In other words, biosphere is a global integration of all living beings, their interactions, interdependence and relationships. 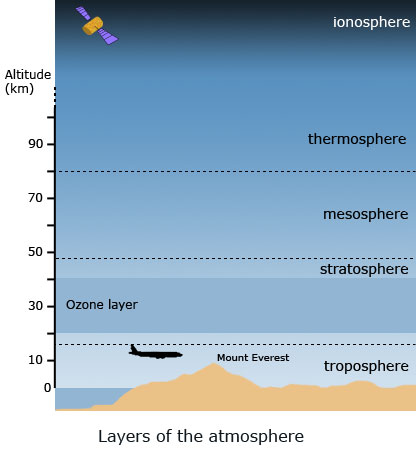 The atmosphere is the body of air which surrounds our planet. Additionally, there will be elements of the hydrosphere present as moisture within the soil, the biosphere as insects and plants, and even the atmosphere as pockets of air between soil pieces.